Stomach vacuuming strengthens transversus abdominis and multifidus muscles. 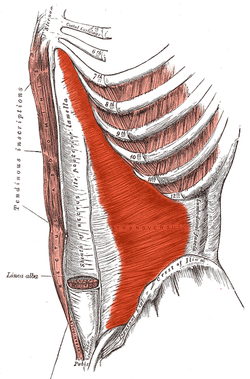 Strengthening transversus abdominis (TrA) and multifidus muscles has been reported as a treatment for lower back pain. However, a systematic review was inconclusive and provided mixed results; strengthening these muscles may prevent back pain, but a strong statement for or against this causal relationship cannot be made without better evidence. Ideally large, prospective studies would be used to investigate the association of TrA and multifidus strengthening exercises with reduced lower back pain. 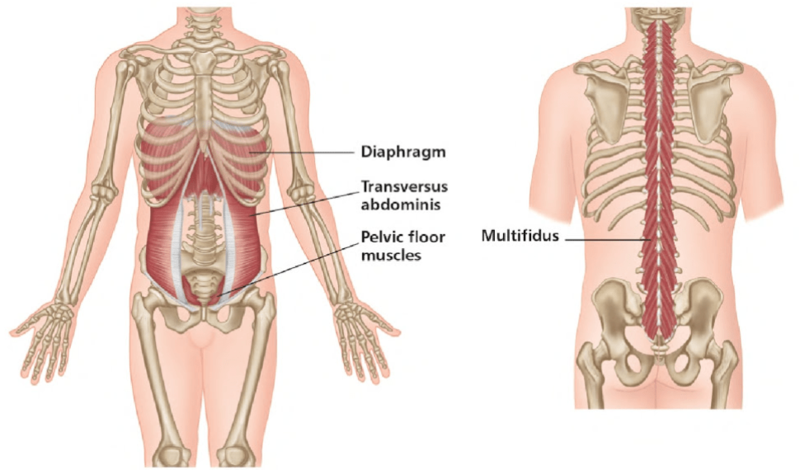 NCBI: The relationship of transversus abdominis and lumbar multifidus clinical muscle tests in patients with chronic low back pain. NCBI: Do various baseline characteristics of transversus abdominis and lumbar multifidus predict clinical outcomes in nonspecific low back pain? A systematic review.